Something many or most iPhone users can agree on is that the Notification Center in iOS 8 is something Apple should not be proud of. The current Notification Center is a mess, and it really needs a facelift. Currently, all notifications gather in a list and it becomes impractical once the list gets big. The Notification Center is also very clunky, and as explained by MobileCreative.org, “it is not making use of effective UX patterns.” Because of that, you’ll notice that most iOS users don’t use the Notification Center at all. Luckily, designers from MobileCreative.org created a concept video showing how Apple should make the Notification Center in iOS 9 so it becomes easier to use. 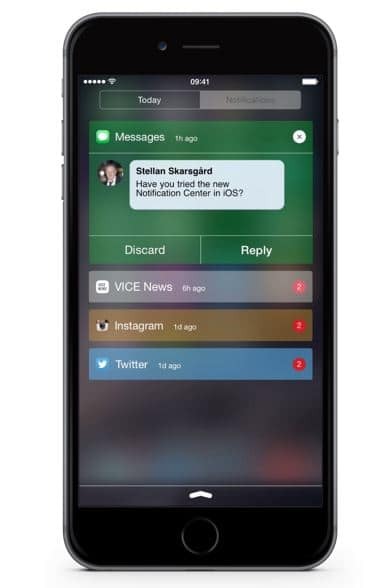 The concept shows a design that allows the user to interact with the notifications straight from the Notification Center. Some of these interaction include replaying to text messages, liking Instagram photos, favoring and retweeting tweets – all within the Notification Center.